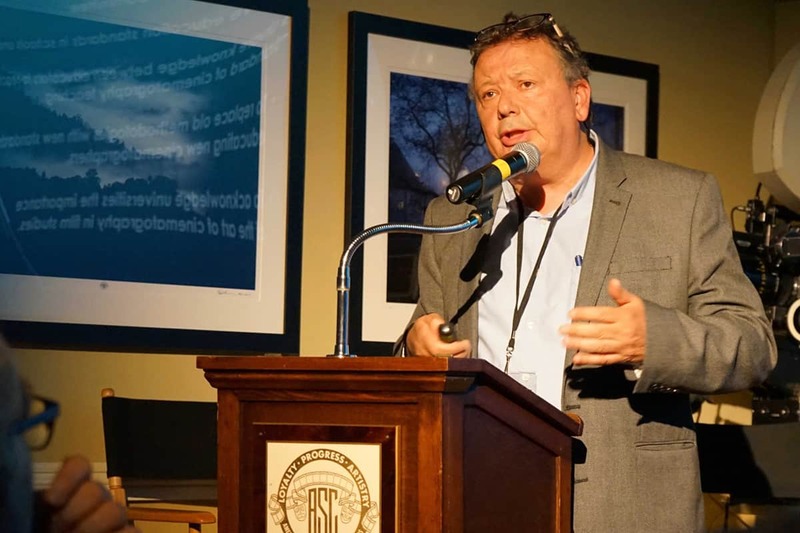 Forty cinematographic societies, and more than 100 international cinematographers, were present during the 2018 International Cinematographer´s Summit (ICS) in Los Angeles in June. Arranged biannually, by the American Society Of Cinematographers, the ICS is a unique opportunity for international cinematographers to meet and discuss common challenges. Of the 40 societies attending the ICS, 36 were IMAGO members, so the focus on IMAGO and the importance of international collaboration was very strong indeed. Increased international collaboration is also the intent of the American Society Of Cinematographers and, under the good leadership of ASC President Kees van Oostrum and the ASC International liaison Suki Medencevic, the international collaboration between ASC and IMAGO has greatly increased. The ICS was again a great success, where technical developments, artistic challenges and also international working conditions for cinematographers and film workers were focused on, concluding that to reach our aims, international collaboration must intensify. The schedule included technical demonstrations at Panavision, a demonstration of the revolutionary new LED cinema screens, as well as artistic debates with director Christopher Nolan and cinematographer Hoyte van Hoytema ASC FSF NSC on the artistic challenges they faced on the production of Dunkirk. The ICS gave a great opportunity for international cinematographers to meet, discuss challenges, and to form bonds of solidarity. It was perfectly organised by ASC staff Suki Medencevic, Patty Armacost and Delphine Figueras, under the leadership of ASC President Kees van Oostrum. Our warm thanks goes to them all for this great and important event. 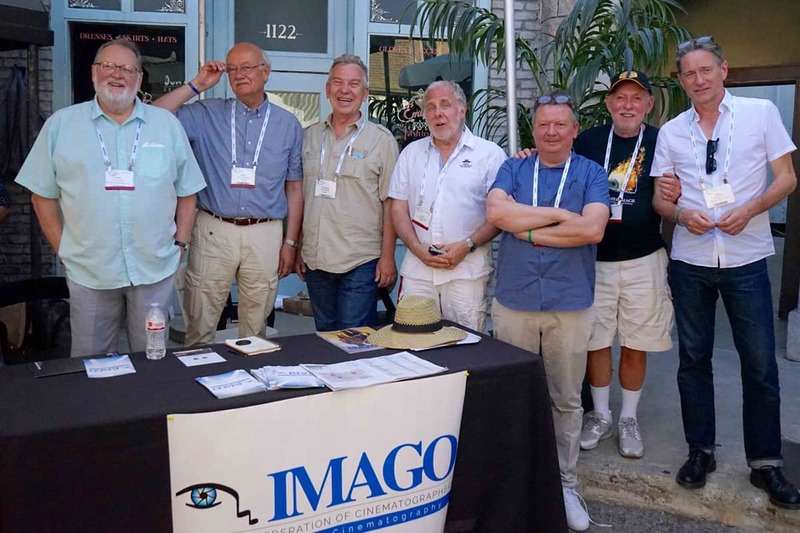 The ICS is arranged a few days after the film and camera exhibition CineGear Expo in Los Angeles, and IMAGO was strongly represented at CineGear, with its own information stand. It was a great opportunity for IMAGO to spread information about the federation and our work, and also for talks with our many close partners in the industry. Since several existing and not least young cinematographers do not know what IMAGO is, continuous information is our aim and, from time-to-time, it is useful to repeat what IMAGO is and what we do. Cinematographers and film staff work everywhere. BSC members work in South America, Venezuelan cinematographers work in Britain, and Swedes work in Hollywood. Globalisation has been part of industry since the start, today more than ever, and that is of course welcomed. Globalisation was the reason IMAGO was established in 1992. The idea behind IMAGO is that since the film industry is getting more and more international, we need an international federation which can help look after cinematographers’ interests internationally, to encourage knowledge and for experience to be exchanged over the borders, to promote the importance of cinematography to our many colleagues in the industry, and to the general public, and to see cinematographers have a forum to discuss and solve common challenges. Although started as an European Federation, IMAGO is today truly international, with 53 national cinematographic societies and more than 4,200 professional cinematographers as members – from Australia, New Zealand, Japan and Korea in the east, to Canada, Mexico, Chile and Argentina in the west. Our belief is that through international collaboration, our voices will far more easily be heard! Because of the ever-changing digital situation, with new equipment, software and production methods, training, education and updating is one of IMAGO´s main aims. One important tool to exchange knowledge is through international masterclasses, hands-on arrangements, seminars and conferences, and this is among the areas IMAGO works in continuously. Today´s cinematography students are tomorrow’s cinematographers. IMAGO´s Education Committee also works with exchanging international experience between the many cinematographers who also work as teachers, so experiences that have given good results, for instance in film schools in America, Australia or Japan, can be tested out also in Europe, and vice versa. Globalisation influences us all. Equipment manufacturers are international, production companies and studio owners are international, and the digitalisation and digital distribution is indeed global, and, too often, out of our hands. How do we keep control of our images in this global and digital situation? Also in countries where cinematographer´s authorship rights are well established, we experience continuous attacks on these rights from many establishments. For instance, can cinematographer´s images be changed, cropped or colour adjusted without the cinematographer present? The challenges for cinematographers are numerous. We can most effectively solve cinematographers many challenges if we, as a federation, operate internationally. IMAGO operates internationally. IMAGO is the international hub for cinematographers when it comes to information, support, solidarity and discussing and solving challenges that affect us all. Although we are a federation, in IMAGO´s experience it is necessary to collaborate with everyone involved in film, and also film politics, to reach our aims, whether it should be archivist federations, national unions, colleague societies or federations, or political environments. IMAGO is also working to secure safe and acceptable working situations in our many members’ countries. Still, and far too often, accidents happen on film sets, and too often, cinematographers and film workers work such long hours their safety is at risk. IMAGO is planning an International conference on working conditions in the film industry in Brussels in 2019, in collaboration with directors’ federations and EU decision makers. Also in this area, international collaboration is highly necessary, and a large number of guilds, partner societies and federations will be invited to join the conference to discuss experiences and ways to succeed. Not least the International Cinematographer´s Guild Local 600 in USA, under the leadership of President Steven Poster ASC, has done very important work in this area. We hope the ICG will be a partner in this upcoming important conference so we can learn also from their long experience. IMAGO believes that cinematography is an art, and that cinematographers are artists. We strongly support cinematographers and societies who believe cinematographers are authors of the image, and that they should be remunerated and treated accordingly. Without images and cinematographers, visual storytelling is impossible. IMAGO´s General Secretary Louis Philippe Capelle visited the Cinematographer´s week, recently arranged by in Sao Paulo by IMAGO Member, the Brazilian Society of Cinematographers (ABC). The ABC was founded in 2000. It is part of IMAGO and of the newly-founded FELAFC (Federação Latino-Americana de Autores de Fotografia Cinematográfica). The ABC counts around 170 members as cinematographers, but they also gather art directors, camera operators and camera assistants amongst their members. Famous cinematographer Affonso Beato ABC ASC is a former president as well as Walter Carvalho or Lauro Escorel. Today Marcelo Trotta, better known as ‘Tintin’ is running the board. Since 2002, the ABC has organised at La Cinemateca De Sao Paulo, a special week of cinematography. This is a Micro Salon-style event: workshop, masterclasses and equipment presentations. Most of the manufacturers attended, all represented by their local or regional dealers. For the first time in Brazil, cinematographers were able to discover the new Alexa LF, as well as new Red models, the Sony Venice, and the latest range of Canon and Panasonic cameras. 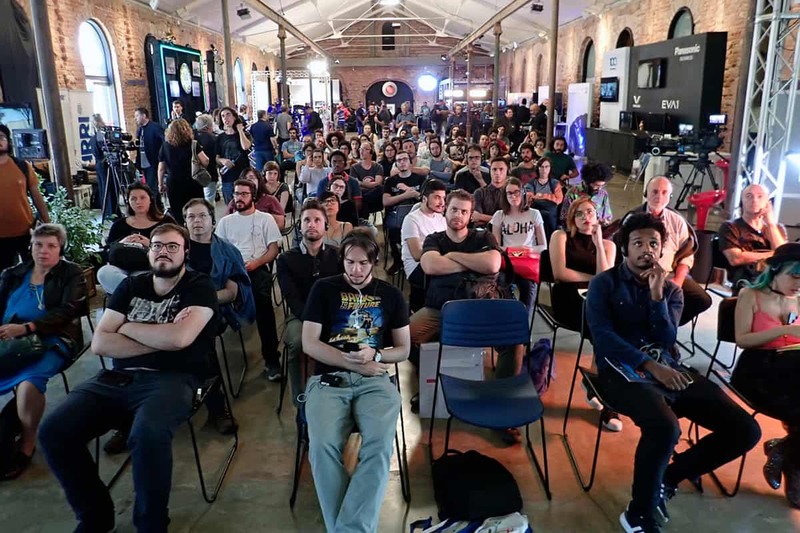 During these very busy days, more than 3,000 people came from all regions of Brazil, and gathered in a very relaxed and friendly mood in the beautiful surrounding of the Brasilean Cinemateca. TV Globo, the major TV channel in Brazil (60 million audience everyday), and Netflix sent representatives, showing their huge interest in the filmmaking. Zeiss hosted a Q/A retrospective of the career of Affonso Beato, putting forward the polyvalence and talent of this great cinematographer, and discussing the use of different sets of lenses for visual creativity. IMAGO was represented by General Secretary Louis Philippe Capelle and the ASC by President Kees Van Oostrum ASC. Both insisted on the collaboration between countries, the world of cinematography becoming global. 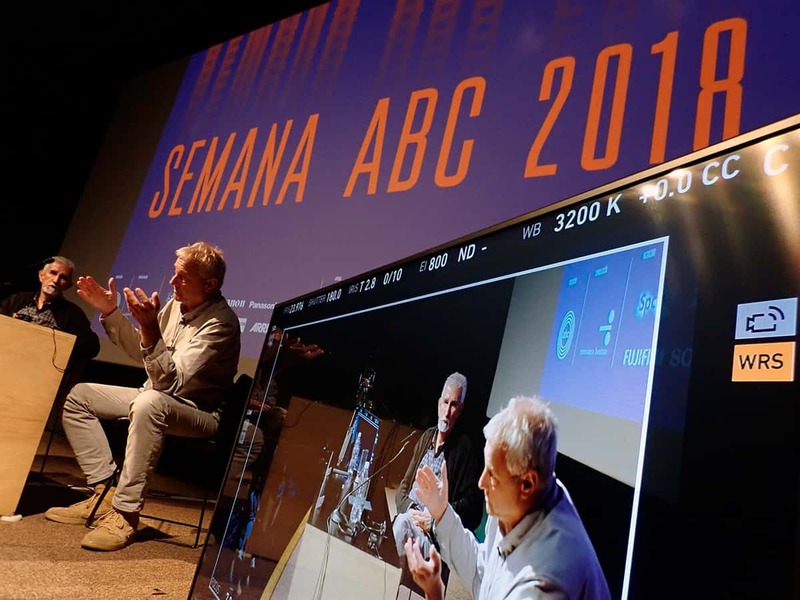 Kees and Affonso, under the banner of ARRI, talked about the new challenges in cinematography with new tools. Different panels were on stage: the making of TV series, an impressive talk about shooting underwater, scriptwriting and more. The week ended with the ABC Award 2018 Party. This year, a very happy Adolpho Veloso won three awards (Best Cinematography in Documentary, Commercials and Short Film). Walter Carvalho and his son Lula were also competing, Walter won the award for TV drama and Lula for the best photographed feature film Bingo – O Rei Das Manhãs (the Brazilian nominee at the Academy Awards). This film won also the awards for Best Art Director, Editing and Sound. It was a wonderful celebration of Brazilian cinematography, thanks to the great work of the ABC President Marcelo Trotta and his team. IMAGO will be strongly represented at Cinec in Munich, from 22 to 24 of September. The next IMAGO International Awards for Cinematographers will be held in Belgrade, Serbia, on 16th of March 2019, and invitations to all IMAGO societies to enter films into competition will be sent out in September. In September, IMAGO will meet with partners and EU politicians in Brussels to prepare the IMAGO International Conference on Working Conditions in 2019. IMAGO hopes to support the Norwegian Society Of Cinematographers and their plans to arrange a significant international Conference on Gender and Diversity. The IMAGO Masterclass Committee will arrange a new Masterclass session in Vienna in the Spring of 2019, and the IMAGO Education Committee is planning a new Conference on Teaching Cinematography in Brussels next Spring. 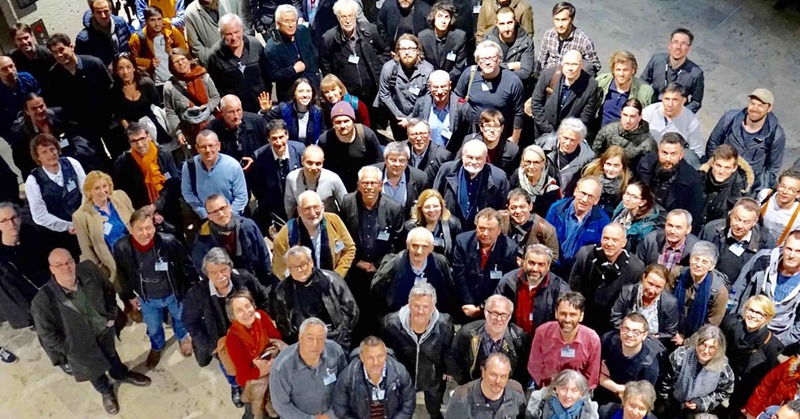 IMAGO´s work to establish an International Directory of Cinematographers is well on its way, and the IMAGO Authorship Committee is preparing an extensive report on the possibilities of international cinematographers being fairly remunerated through international collecting societies. Oh What A Lovely Year!